Gosh, I do love my special pen. Not content with being a Moleskine notebook addict, and unable to write in any other kind of notebook (the paper’s never as smooth, they won’t lie flat) I simply must have my special pen. I looked for it for years. I tried all manner of disposables, gel inks, rollerballs, fountain pens, ink types, and even pencils. But nothing ever felt right. You need it to have just the right amount of heft when you hold it, so that it’s light enough to hold for hours without cramp, but not so light that you feel you’re trying to pin down a helium balloon. There must be no splodges, nor false starts, where you scratch at the page before the ink starts to flow. For me there had to be no cap either, as I’ve a habit of trying to store them in my cheek like a demented hamster, which is simply unpleasant. It was the last day in Tokyo, and we’d been saving up a trip to Ito-ya, the seven storey stationery shop in Ginza (reviews in English). Heaven for paper geeks, marked by a giant red paperclip on the side of the building. We noodled around the paints and exquisite papers, fingered the stamps and inks, marvelled at racks of elaborate envelopes for giving monetary gifts, and then I found myself in the pen section. It’s a serious business in Japan, stationery, and what is stationery without a pen? Frankly, if I couldn’t find a pen in there, I had no hope. They have everything from the cheapest biro to the most expensive fountain pen. As it turned out, it was incredibly simple. 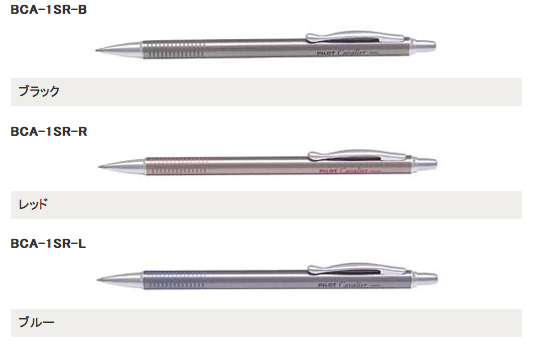 I drifted towards the Pilot section, since I have a fondness for their disposables, and picked up a simple ballpoint. 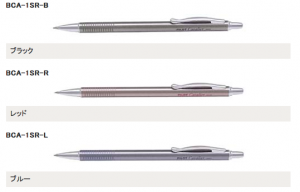 Slim metal case, push button action, 0.7 ballpoint. I was smitten almost instantly. Now, a funny thing happened when I started writing this post. I thought I ought to do a search on the web so that I could point you in the right direction, just in case you were curious. When I was in Tokyo I bought a couple of refills, just in case, but since it really wasn’t an expensive pen, and I knew I could get Pilot pens in the UK, I’d always assumed I’d be able to find a replacement, in case the worst happened, and I dropped it in the Thames or my son threw it onto the train tracks. No matter how I searched for a Pilot Cavalier I kept coming across fountain pens rather than ballpoints, and pages of people discussing ink colours and replacements. I began to fear that it had been discontinued. In order to track it down I ended up on the Pilot website in Japanese, where I used my rudimentary knowledge of katakana to locate the exact pen, copy the model number and finally do a search that led me to a site where I can purchase a replacement. I spent almost two hours doing this rather than writing this post, and am so tempted to buy several pens so that I need never go through those two hours again. So my intent was to talk about having rituals, and the way using particular objects is a way of preparing the brain for particular tasks, and instead I became so distracted at the possibility of never being able to lay my hands on this cheap pen that I more than demonstrated that other writer’s cliché, the one where we’re all superstitious and cranky. More about rituals another time. Perhaps once my parcel is here from Japan. Next ›September comes and brings the promise of a new pencil case.